My stomach had been churning for hours. It felt like the first day of school…only worse! Who would have believed I’d be going to do something I always thought was for muscle heads. I’m so anti-gym and definitely didn’t want to look like a body builder, right?? I’d always liked to walk and even did a half marathon, but I was 40+ and about to try CROSSFIT! 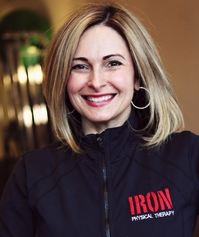 It all started when I took a job as the Manager of Iron Physical Therapyin January 2014. I’d been in a bit of a rut, and I was excited about a fresh start but I had no idea what I was getting myself into. If anyone knows Dr. Geno Mayes, the owner of Iron Physical Therapy, then you already know that the words “I can’t” or “I’m too afraid” do NOT exist in his vocabulary. I knew my time had come to put fear aside and challenge myself to become active again. Geno helped me find the part of me that had been longing to come out. I believe that everyone has competitiveness to some degree within. I’m definitely one of those people, and as an avid CrossFitter, Geno thought it was just the thing for me. 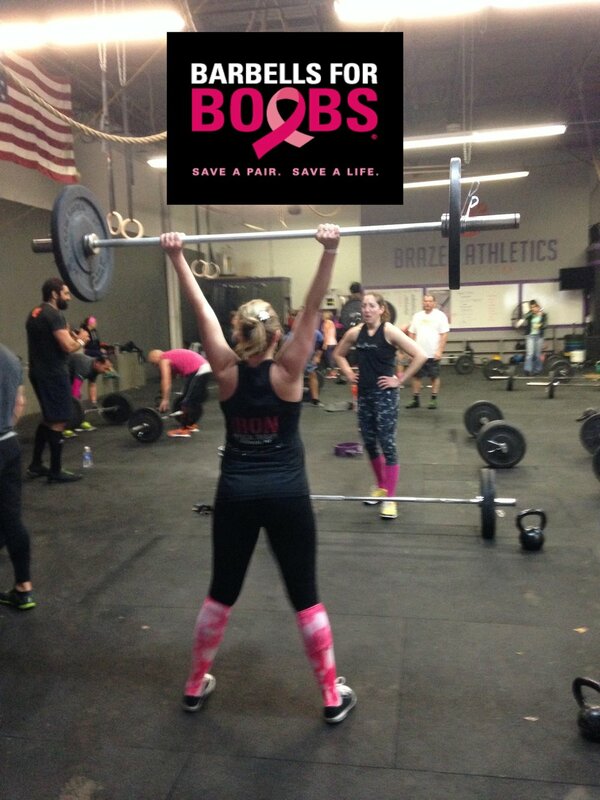 I observed a CrossFit competition one Saturday and thought to myself, why do these people want to do this to themselves? I could NEVER! Well then Martha fromCrossfit Caldwellcame into IronPT one day. She convinced me to try a free class and assured me there wouldn’t be any pressure to join. Well, that was almost five months ago. I remember going there and thinking everyone was looking at me saying, “What is she doing here?" I never worked so hard in my life, but I finished the class. I signed up for the fundamentals class thinking I'll give it two weeks, and then I’ll be good…and then I signed up for a month and another after that. I still feel the same in the morning when my alarm clock goes off at 4:00 a.m…“Why am I doing this”? But being a mom and working full time, the 5:15 a.m. class is the only one that works for my schedule. Even though it’s hard, it’s been worth it. I was skeptical about how much my body could change in such a short time, but my co-worker took my measurements, and I’ve lost three inches around my thighs and one inch around my waist. Now THAT is a great feeling! I have also increased my strength more than I ever thought possible. My back squat went from 65lb to 115lb and my deadlift went from 95lb to a PR of 165lb. Doing CrossFit is scary, hard and satisfying all at the same time. As a busy mom, it was exactly what I needed to start making time for myself again. Being active has given me the confidence to believe, “I can do that too.” I may not do CrossFit forever, but I now feel bold enough to try other things. It has also made me feel less self-conscious about my appearance. As we get older, it’s not as easy to keep things in place as it used to be ; ) The strength training helps move things around a bit, but more than that, it makes you appreciate your body for everything it can do rather than just how it looks. Going from 0 to 60 MPH does come with a few aches and pains, but I am learning how to address any issues and take better care of my body so that it serves me over the long haul. If you’re on the fence about trying a free class at CrossFit, I say go and check it out. It’s a challenge…ALWAYS! Just go at your own pace. YOU are the only one that matters. I have said that I’ll give myself one year and then see how I look and feel. But then again, I was only going to do the fundamentals class – ha!